title credits goes to @vvvslaxman ..
No one can match Sachin for us Indians. No one!! for the past 5 years .. This is not about who is better player. 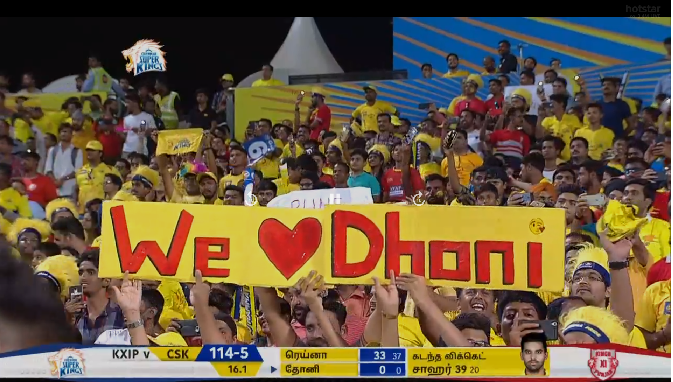 But just because of Dhoni, CSK was having a home game everywhere. I don't post anything bad about Dhoni on my FB as almost all my friends in the friend list are Dhoni fans lol I just play it safe. Don't be scared bro, just do it. Ofcourse why is this a surprise..sachin who ??? Indians support players who play for the team than selfish tuk tuk 100s. True. Sachin fans will outnumber Dhoni in ICF. any idea on collections for these movies? No.Sachin was way more popular. There was a report how sourav got angry when he was completely overshadowed by sachin's stardom when they arrived to play a match in the year 2001/02. 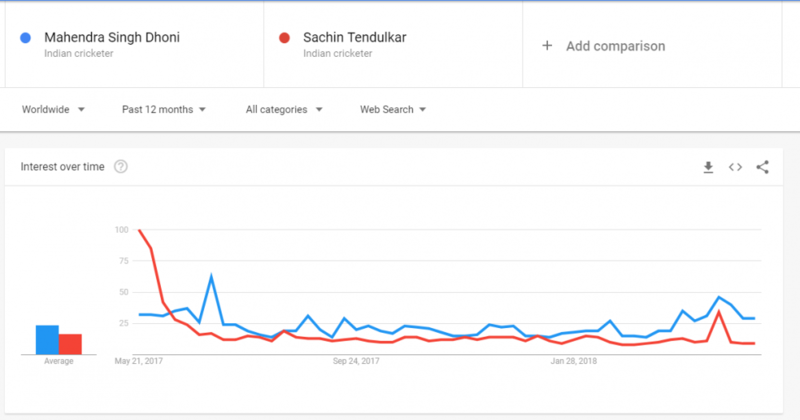 Sachin even after his retirement is one of the most searched cricketer. 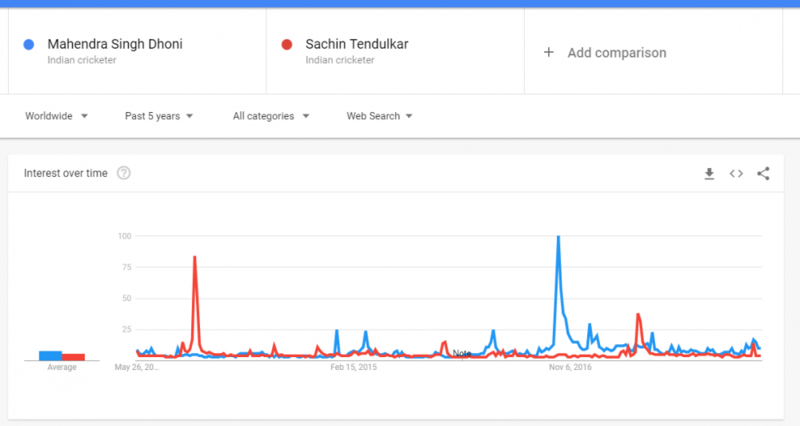 Any Google trend is not enough to quantify the effect sachin had on cricket. The socio-economic structure of India was very much different to what we have now. India was a struggling economy and facing set backs on all fronts. SACHIN was one of the very few things Indians can feel proud about during those days. People use to turn off the TV once sachin use to get out. He had pan India fan following and hardly any haters. All of this was in the time when there was no hype and PR machinery to create reverence for a cricketer. Some years back I was in kerala, and I was astonished to find fans of sachin among the guys who don't even like cricket. To put things in perspective, Dhoni may become the most popular player of India but he can never become an emotion that sachin was. sunny , kapil was more popular ..
Yup. He inspired lot of guys. Kohli, Sehwag. Forget about Sachin. Kohli with his phenomenal talent averaging 50 across the formats should have been more popular than Dhoni. We don't see any such reception for him. Average Indian doesn't like cockiness. I think female following is a lot more for him for his coolness. That is one aspect i have noticed. Some of my relatives (females who don't really follow cricket that much) became his fan after listening to one post match interview. ICF pulse is very very different. Way more popular. 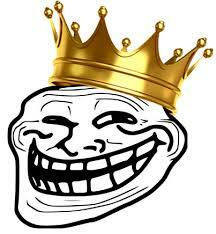 Oldies dont want to accept that newer generations does not care about Sachin. He is past. They are more or less settled on forums like ICF where they want to glorify past and live in their dream world. Also, since T20 cricket(IPL) has brought in more crowd, most of them revere Dhoni and have no clue about Sachin. Dhoni pops nowadays in stadiums are just so awesome to see, almost like how WWE had Austin and Rock entries. In any case, India continues to love Dhoni regardless of what ICF feels. Sachin is 2nd most influential Indian after Mahatma Gandhi. Modi is far behind and Godse is unknown mostly. To an extent I agree , but some one like Kapil an WC winning All-rounder would have been way ahead of both Dhoni and Tendulkar . People at least had TVs to watch Tendulkar , imagine some one like Kapil today , he would have been not just Indian teams most valuable player but also the hottest players in IPL . 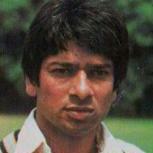 You are right about Kapil dev. He had everything. Great bowler, Great hitter, Great fielder. Successful captain. He would have been darling of everyone. WHy now. Even back then when Kapil was dropped for Kolkatta test after he played a lofted shot to get out at Delhi, entire Kolkatta crowd booed Sunil Gavaskar. Kapil was a very very popular cricketer ala Dhoni is now. Nope ,but he's the only one close and thats mostly because of the ipl factor. who gave that award to sachin ? dont go just based on ICF .. ICF emerged with whn sachin was popular ..
becaue of the emergance of facebook/reddit , new generation of people are not joining the sites like ICF ( same goes with other domain like finance as well ) ..
Also, since T20 cricket(IPL) has brought in more crowd, most of them revere Dhoni and have no clue about Sachin. Dhoni pops nowadays in stadiums are﻿﻿ just so awesome to see, almost like how WWE had Austin and Rock entries. ICF oldies(sachin chamchas) needs to retire from this forum. When was the last time an active "way more popular" celebrity had lower number of followers than a retired celebrity on social media? At least you would expect numbers to be close, but that's not the case.